International Hotel School, Africa’s leading hotel school runs annual competitions to identify, acknowledge and support the best talent to feed the hospitality and culinary industry. Currently, the annual bursary competition is open to all 2015 matric students, where hopefuls stand the chance to win bursaries that cover tuition fees for any IHS programme valued up to R225,000. The past IHS bursary winners are testament to how additional learning assistance can help learners and students help themselves. “When I applied for an IHS bursary, I did so independently. It was the greatest thing I could have done for myself. Not many students can say they ‘paid’ their own way through college or university, but I can,” says Grant Markram. “It’s an empowering feeling,” he adds. Micaela Newton, another past winner, feels that besides the obvious financial benefits, the bursary has brought value to her life in other ways. “It has given me confidence in my work. 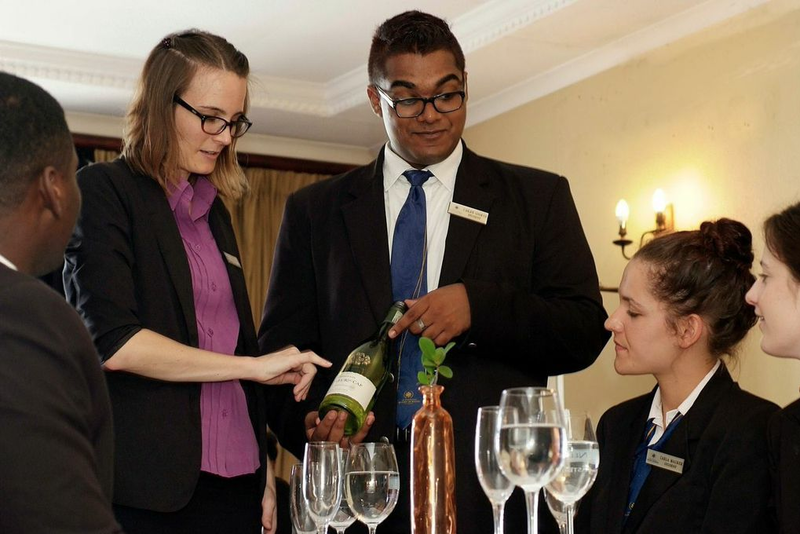 Having IHS appreciate me and see me as an asset in the hospitality industry has encouraged me to excel.” This is evident in Micaela’s performance of late, as she was recently selected for Team SA in the WorldSkills International Competition. She will represent the country in the restaurant category which is taking place in Sao Paulo, Brazil, in August. The first step for bursary hopefuls is to visit the website, https://www.hotelschool.co.za/bursary for details and qualifying criteria, then download and complete an application form. Entry forms and other documentation are available at IHS campuses. There are two project stages to complete – the first is job-shadowing in a hospitality environment and the second is a mini project. All documentation then needs to be submitted to the campus of choice (Johannesburg, Durban or Cape Town) on or before 29 May 2015. Interested pupils can phone IHS at 0861 44 33 00 for more information.